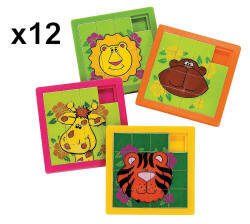 Includes 12 Zoo Animal Slide Puzzles - each puzzle measures about 2.5". 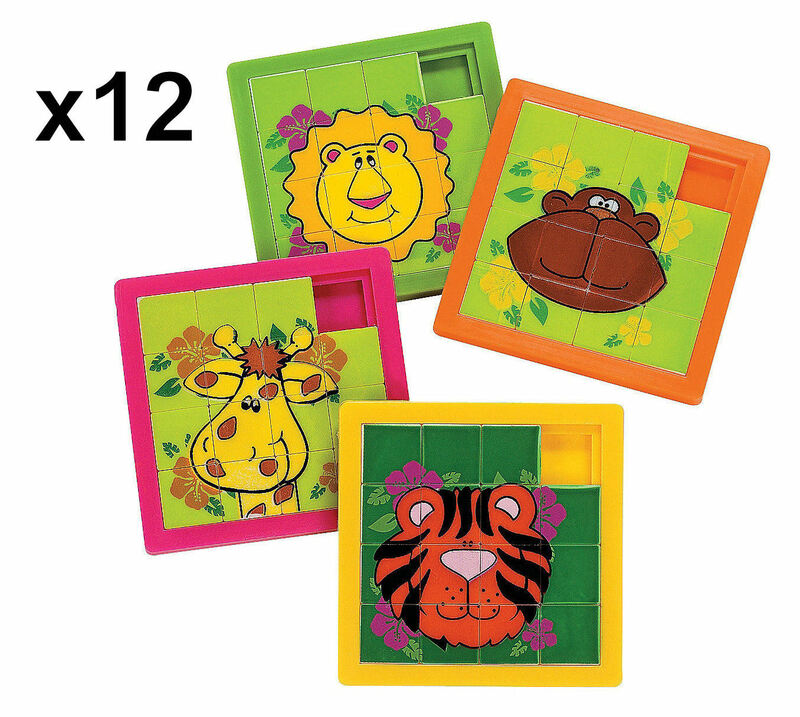 Puzzles are fun and simple party favors, and our adorable Zoo Animal Slide Puzzles are perfect for keeping your little monkeys quiet and busy! They're also great party decorations when you prop them up around the celebration table. These kids' toys are easy to use, yet provide enough of a challenge to entertain youngsters while you do some party cleanup or set up for the next event. They're an amusing activity for quiet time in preschool and kindergarten classes, too.